Welcome to hog roast Swindon web portal, where all your hog roast and catering needs are right at your fingertips. With our website you can plan and book your event, or find top quality machines for sale and hire. 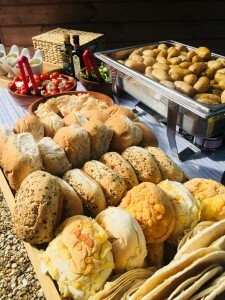 We’re the hog roast catering kings of Swindon, the meats we cook and the side dishes, starters, canapes and desserts that our spit roasts are served with makes us a must choice for our customers hog roast Swindon events. Swindon has strong links with hog roasting, its very name is derived from pig hill or swine dun. Originally just a small settlement where people met to trade goods the industrial revolution saw great growth in Swindon’s size and structure. 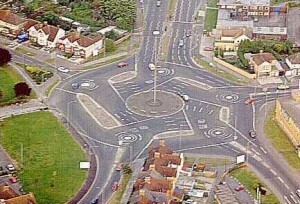 One of Swindon’s many local sites is the infamous “magic roundabout” not somewhere yu want to go round and round though. The types of food that we can make, and make well, is a surprise to many people. Their first impression is that an outwardly passionate hog roaster of our ilk wouldn’t be as concerned and good at making non hog roasted food, but they underestimate our love of catering, the determination to be the best, and the immense talents of our Spitting Pig chefs. There is no end in sight to the amount of hog roast Swindon food we’ve cooked, we’ve cooked for over a thousand people before and we can comfortably cook for ten thousand people if asked, as you only need one chef to one machine and one 90kg pig to cook for 300 people. Pigs are just one of the whole meats we can cook and spit roast, we have more such as the chicken, lamb, turkey and beef options, or the sausage & burger and kebab choices. When our customers are weighing up hog roasting verses other catering options they realise the cost of a hog roast when put in comparison with catering offered by other companies is excellent. Spitting Pigs hog roasts aren’t as harsh on your wallet or purse which means the money you save by booking a Spitting Pig hog roast catering service can either be saved, or you can use it to go towards making better your event in other ways, be that booking some fantastic entertainment that you didn’t think you could afford beforehand, or even getting the best venue for the event on the basis that our supreme hog roast Swindon didn’t cost half of what you’d planned for! If catering isn’t for you then maybe you’d like our machine hire options, the best way to have a hog roast without the chefs and waitresses. Sourcing a hog roast machine hire Swindon is the best way to have a hog roast without incurring as much cost as you would if you were to book Spitting Pig catering, or buy a machine. The machine hire service provides a machine, return and delivery of the machine by our Spitting Pig van-man, and a gas bottle to run the machine. You can also, as a matter of convenience or to get the true Spitting Pig taste, hire a machine with a fresh hog roast Swindon pig included. The pigs come fresh from the farm and are kept in a freezer for minimal periods; they’re as good as straight from the butchers without the price of actually buying an individual pig from the butchers! One thing you won’t have to worry about when hiring a machine is the state you send it back to us in, so long as the machine functions you can return the machine as dirty as you like, there’s no obligation on your part to clean the machine, we’ll do that ourselves once returned to us.